(blackmediascoop) How big is PRINCE’s estate? Counting real estate and music royalties from some 30 albums and millions of records sold, Prince leaves behind an estate reported by The Los Angeles Times and BET to be as much as $300 million, although that figure has not been confirmed. But whatever it was on the day he died, his estate has been growing by leaps and bounds ever since — exactly what happened when other major music stars died unexpectedly, such as Michael Jackson. In the three days since Prince died, more than 579,000 albums (both digital and physical) by Prince were sold, according to Nielsen Music. By comparison, Prince sold 1,400 in the three days prior — an increase of 42,000%. 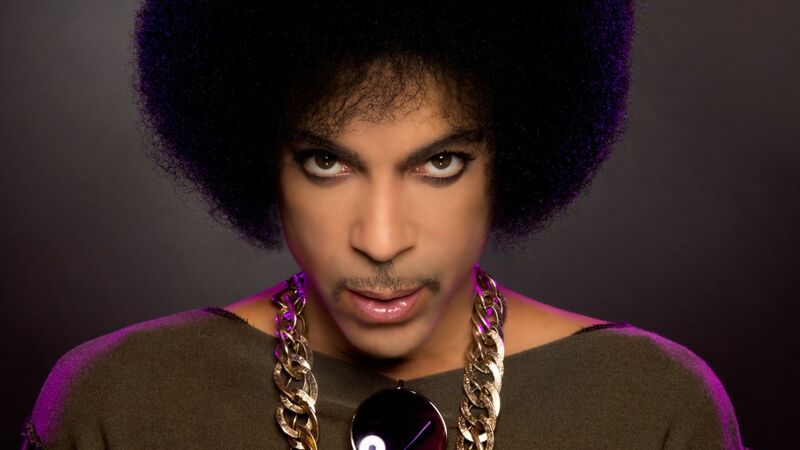 Plus, says his former manager Owen Husney, who helped Prince get his first recording contract when he was still a teen, there is indeed a cache of hundreds, even thousands, of unreleased Prince recordings that could push the value of his estate as high as $500 million. It is hard to imagine that Prince would have failed to draw up a will and an estate plan prior to his death, says Husney, because he was too smart to have overlooked something that crucial and he had teams of lawyers, business managers and accountants over the years who would have advised him it was crucial. After all, this was an artist who changed his name to an unpronounceable symbol and wrote “slave” on his cheek for performances during his long battle to wrest control over his recordings from his record company, Husney says. “He fought too hard for his rights while he was living, he battled his record label for so long, that one would assume he would have prepared a transition plan,” Husney says. So far, no will has emerged but it’s still early, says Jerry Reisman, an estate attorney at Reisman Peirez & Reisman on Long Island. If there is a will, that will govern the distribution of his estate — not only who gets what but who controls what. The most likely scenario, says tax lawyer Michael Kosnitzky, of Boies, Schiller & Flexner in New York and Miami, is that there is a will and that it sets up a trust or a series of trusts into which all of Prince’s assets at the time of his death will flow. Unlike wills and probate court proceedings, such trusts can be kept confidential from the public. If Prince chose this route, it’s possible we may never know the true extent of his estate or his plans for it after his death. Such trusts are managed by an executor (some states call them “personal representatives”), and it’s usually not the heirs. “If there is no will … then his estate will be distributed in accordance with Minnesota law and under the supervision of the (probate) court that administers estates in Minnesota,” Reisman says. Among other things, Minnesota inheritance law groups potential heirs by closeness to the decedent, so spouses and children are the first level in the “succession.” The state’s laws also require that “half” relatives are treated the same as full relatives for the purposes of inheritance. Ex-wives would not qualify as a successor. Jay Cooper, an entertainment lawyer in Los Angeles, says he thinks Prince’s professional advisers would have urged him to set up an estate plan long ago. “But not all artists listen,” Cooper says. Still, he says, Michael Jackson wrote a will and a plan years before his sudden death, and despite that many disputes arose after his death among his heirs and his creditors, not to mention the IRS. Reisman says it’s too early to know who may emerge to make a claim on Prince’s estate and “make things complicated: Former wives, creditors, children, siblings” previously unknown who might come forward, he says. Tax and estate lawyers cite Jackson, Bob Marley and James Brown as examples of artists who died suddenly and left behind squabbling heirs, angry creditors, tangled finances and IRS agents on the prowl. “That’s why many (wealthy people and celebrities) set up trusts and tax-reduction plans during their lifetime to try to reduce the tax burden, if not all of it then some of it, to benefit their heirs,” Reisman says. Kosnitzky predicted two issues could come up in assessing the value of Prince’s estate and thus the inheritance taxes owed to Uncle Sam. As happened with Michael Jackson, he says the IRS could include in its valuation recordings or films released after his death, or merchandising deals that either didn’t exist before his death or increased in value only after his death. The IRS also placed a high value on Jackson’s name and likeness at the time of his death. “This could be a big area of conflict with Prince’s estate if the IRS tries to attribute a higher post-death valuation to these items, which has become common IRS practice with respect to celebrity estates,” Kosnitzky says.